Brother’s Germany based headquarters for industrial products in Europe, Africa and Middle East continues to expand. After the construction of a new 1500 sqm warehouse in 2016, the old warehouse is due to be demolished and replaced by a new, modern office building. Demolition will begin in September and the new office building is planned for the start of 2019. The building will have a total of 1000 square meters on 2 floors. With the addition of the new office building, Brother continues to respond to the growing number of staff members and wanted to offer their staff a working environment that meets the demands of a modern, expanding company. 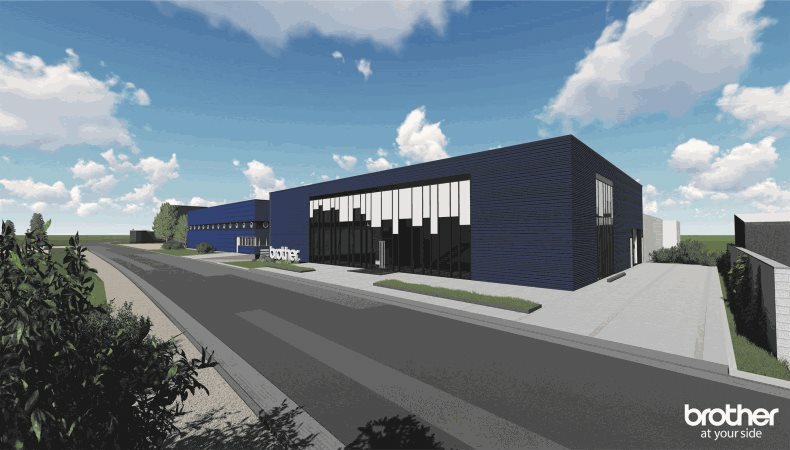 The new head office will feature state-of-the-art occupational and environmental technology and will include office space, a large break and rest area, meeting and training rooms and a new showroom that will feature the latest products from Brother.